I tried to reward myself for punching out 3 blog posts and creating an entire new blog. 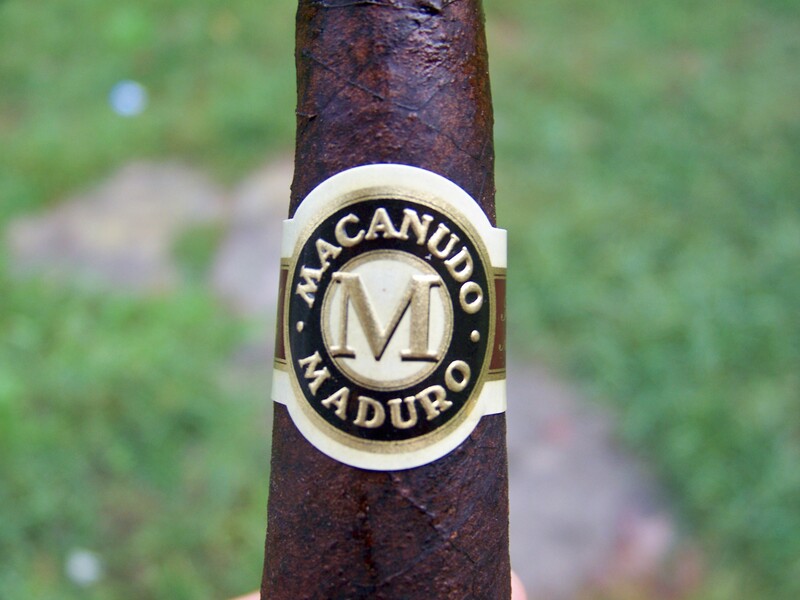 The entire time I was writing I had the Macanudo Mad Diplomat Maduro sitting on the laptop staring at me. The carrot in front of the horse so-to-speak. I was proud of my self I typed away sitting outside until my laptop started screaming at me that the battery was going to die. Time to plug the laptop in and enjoy my reward. This short little odd shaped little cigar is kind of confusing to the eyes. The best I could describe the shape is baseball bat or caveman’s club. Narrow on the head (the sucking end), fat in the body (the middle), and almost starting to taper again at the foot (the lighting end). Dark matte in color and wonderful aroma before lighting. This was a wonderfully strong cigar which went well with my 4th cup of coffee. The draw was pleasurably tight and smooth. As you can see I was really starting to get into this cigar. Noticing the nuances and trying to really come up with some descriptors. Then the interruption. About half way through this smoke, which will last longer than you think this short little baseball bat cigar should. My retired brother came out and started moving and doing things. I tried to ignore it for as long as I could. I mean he is his own person doing his own thing right. He doesn’t need my help for everything. Crap couldn’t resist any longer. After a quick inquiry about what was going on, the list of things he planned on doing flowed forth. Then I uttered the words, “Let me finish this cigar and I will go with you.” A little conclusion about cigars that I have come to over the years. Never be racing towards the finish. 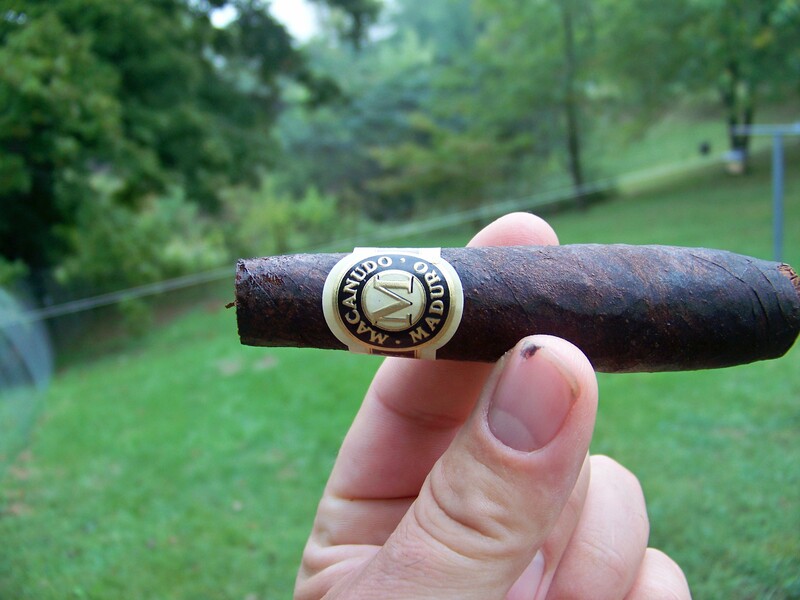 A cigar should be enjoyed, something you should relax and savor. When looking to “finish” a cigar you might as well be smoking a cigarette. It takes away from the experience. Heck you spent $5 – $10+ dollars on this thing you should enjoy it. Well the cigar experience was lessened but not ruined. Because time with family, even running errands, is always more pleasurable and important. All you have to do is just enjoy the moment and not look for the finish.